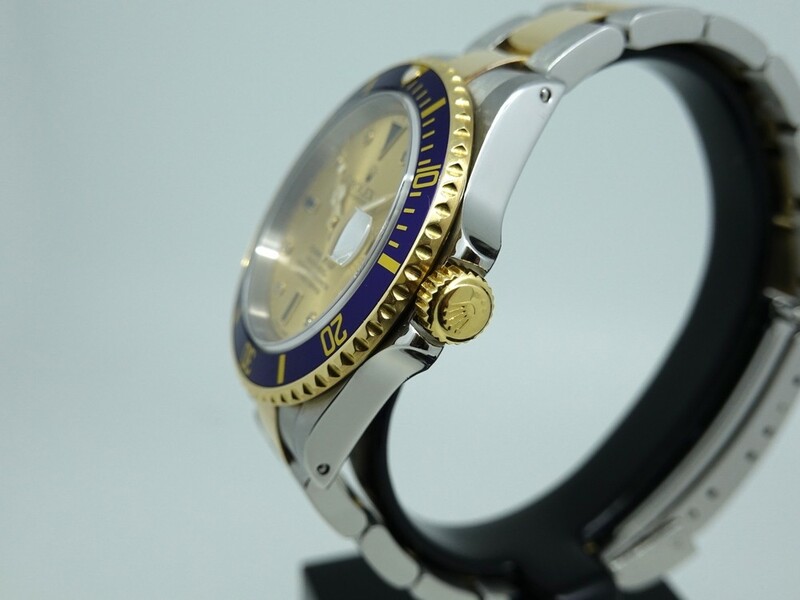 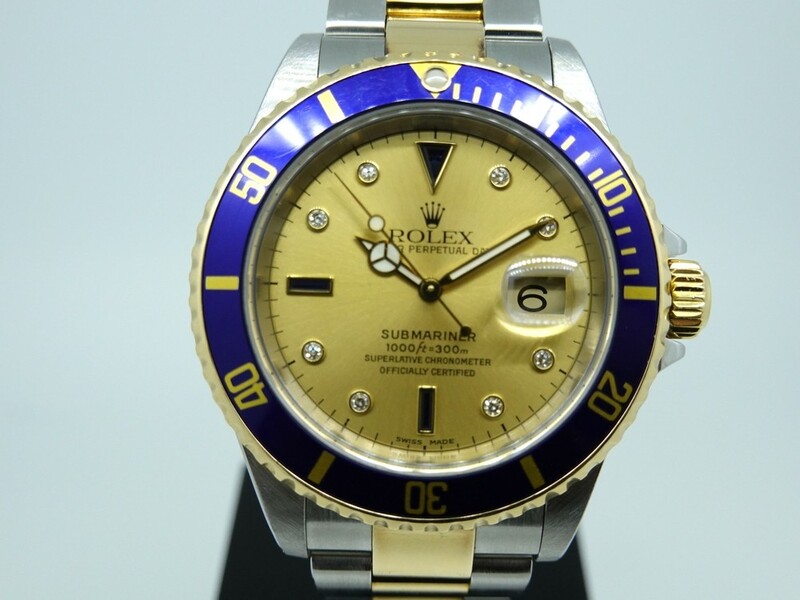 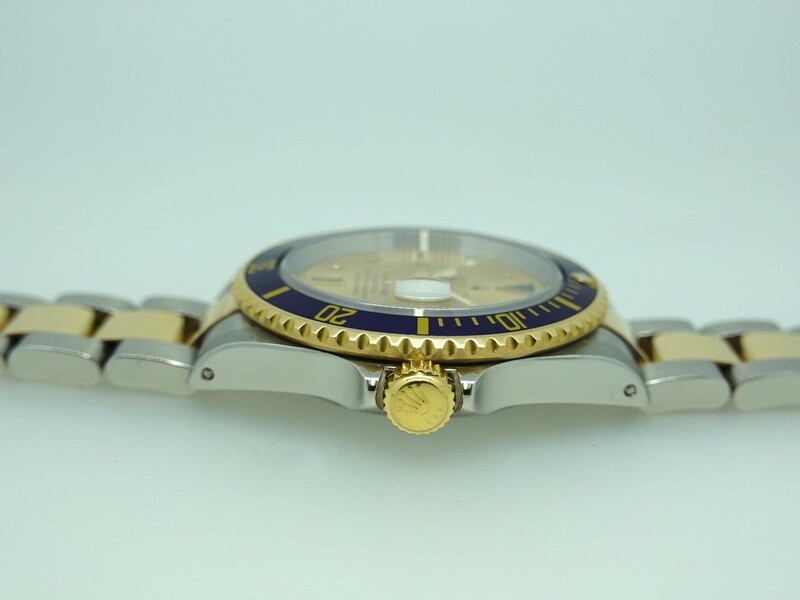 Rolex Submariner Champange Serti dial with blue sapphire and diamonds. 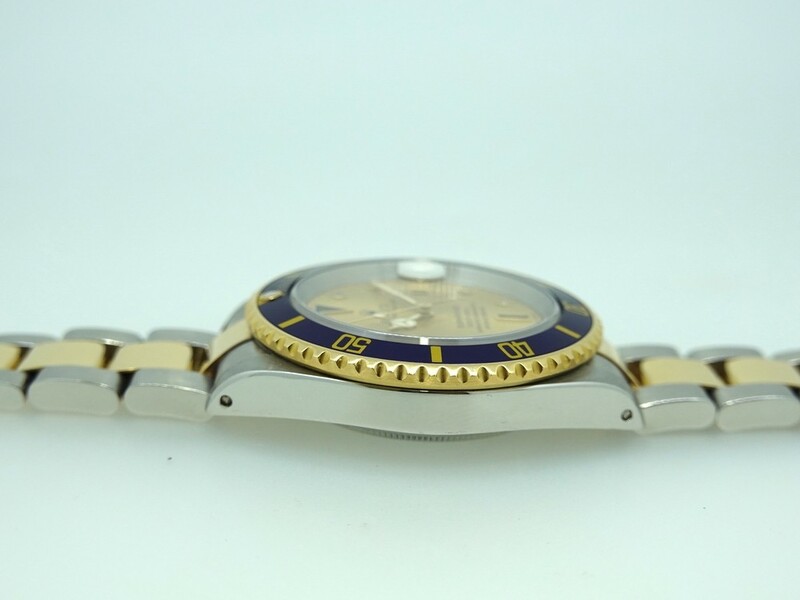 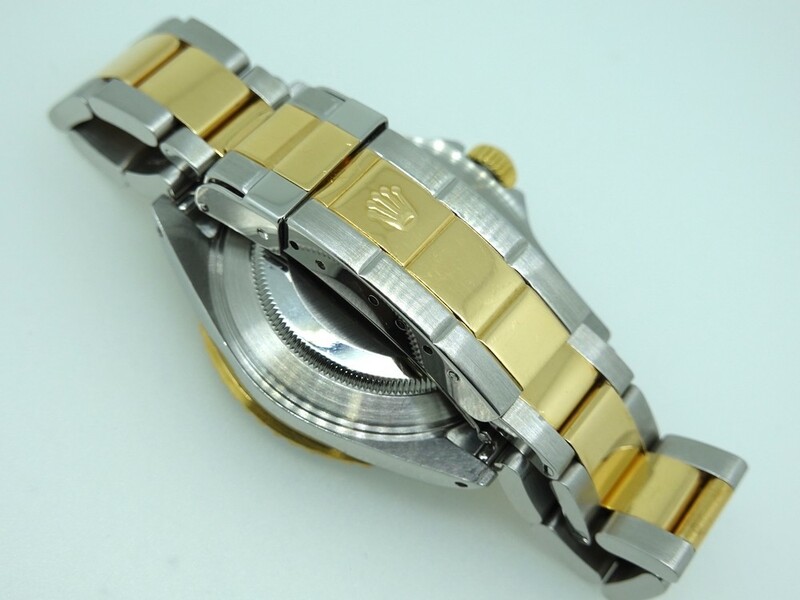 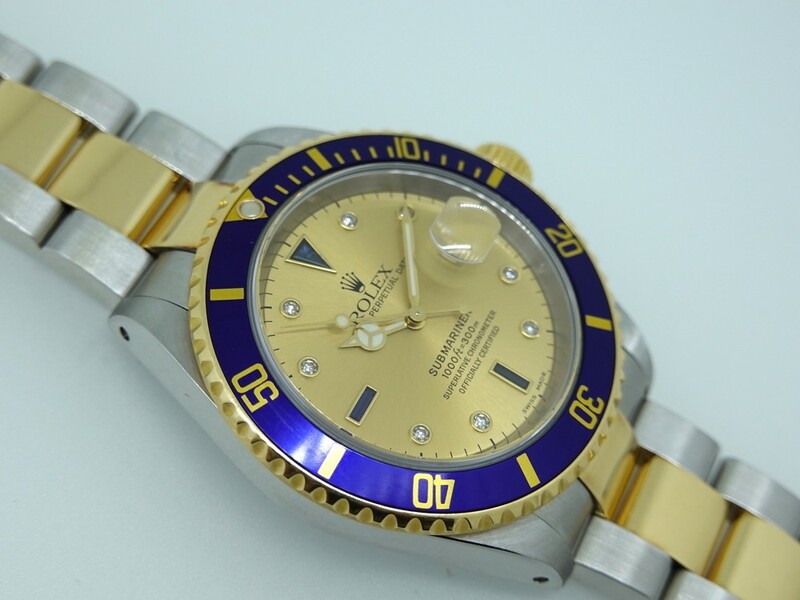 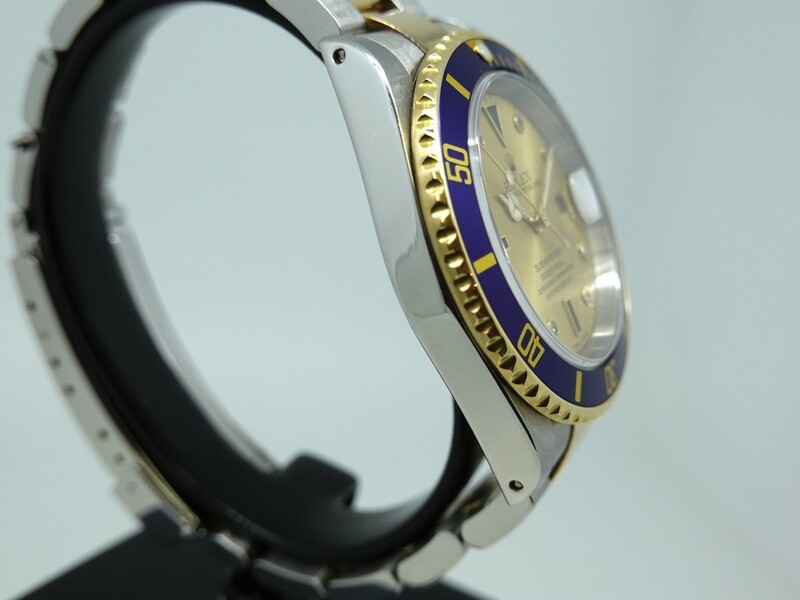 40mm solid 18ct yellow gold and stainless steel Submariner with 2/tone Oyster bracelet with solid endlink. 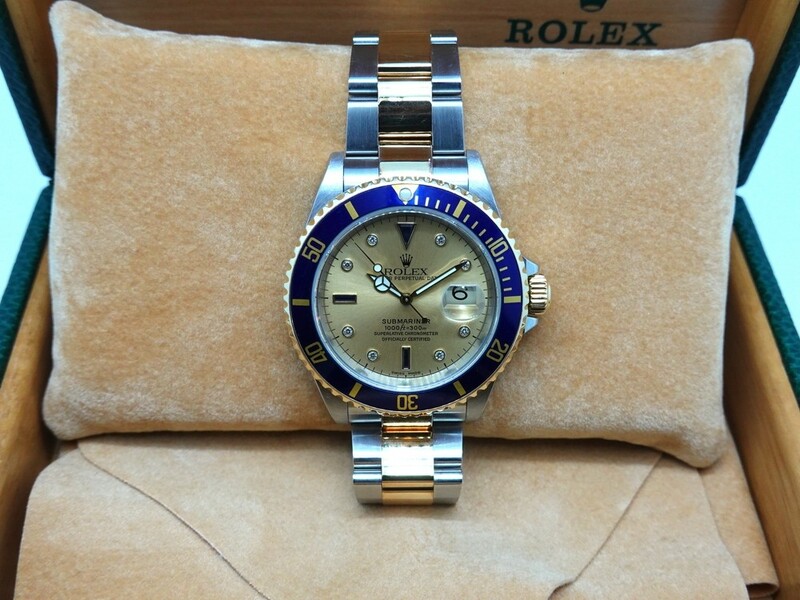 Champagne dial, set with blue sapphire & white diamond markers. 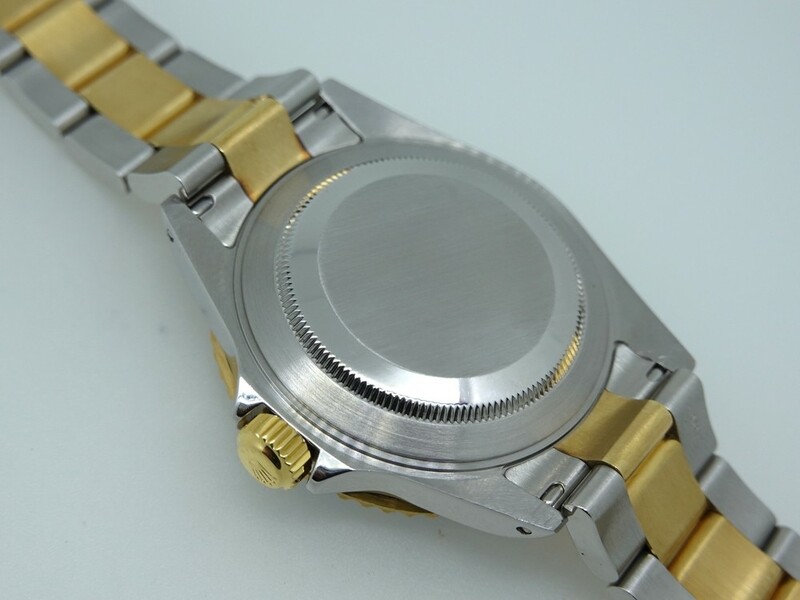 This timepiece is in excellent condition with some minor scuff and hairline scratches. Comes with Rolex box only.